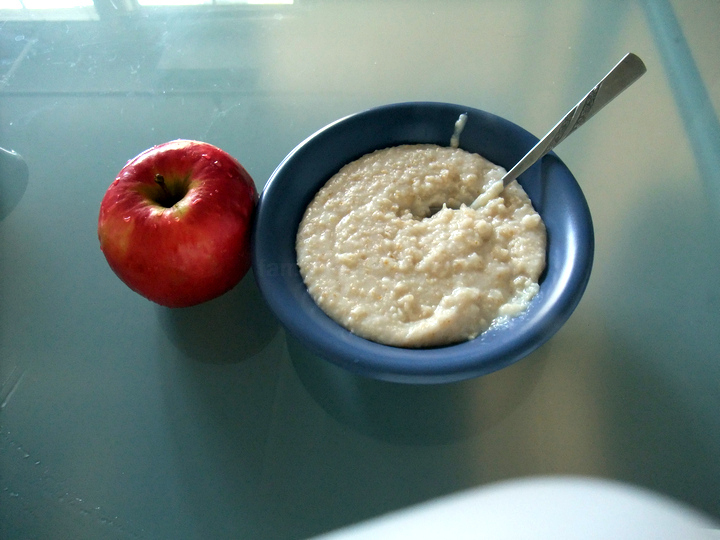 08.35 am – Woke up to another heart healthy breakfast. 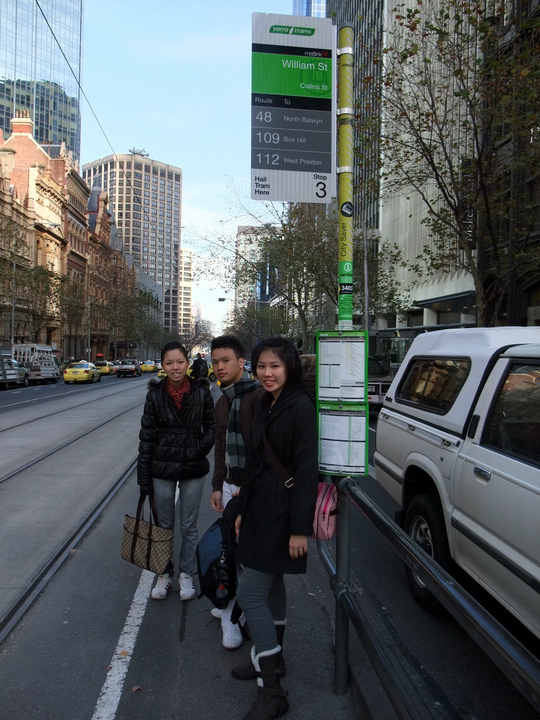 10.46 am – After these 3 were ready, we began our day by waiting for the tram. 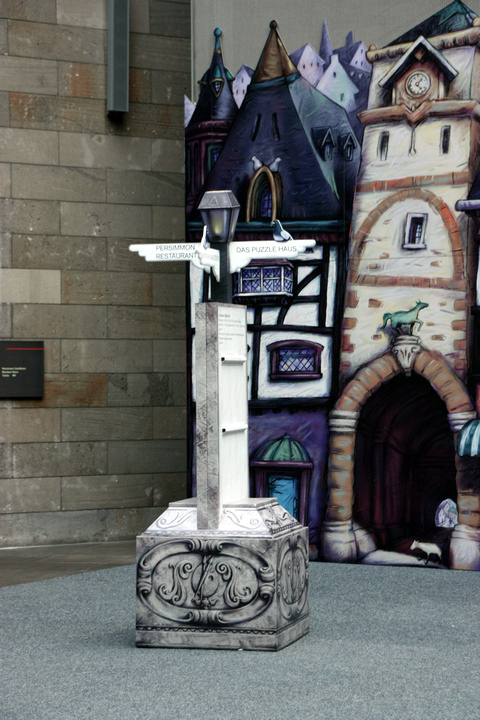 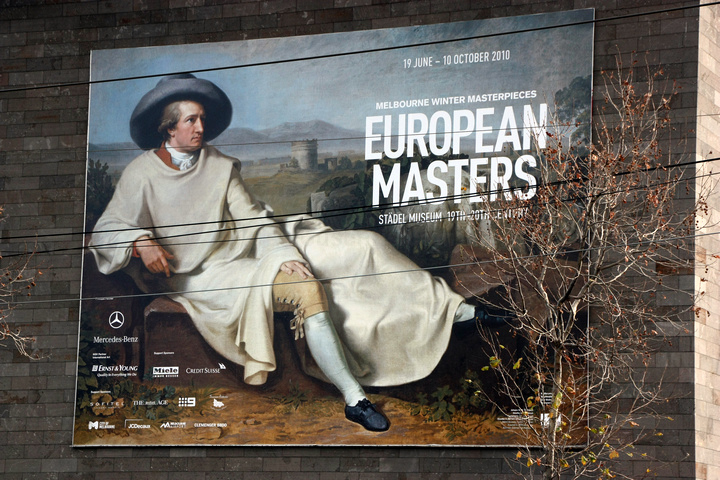 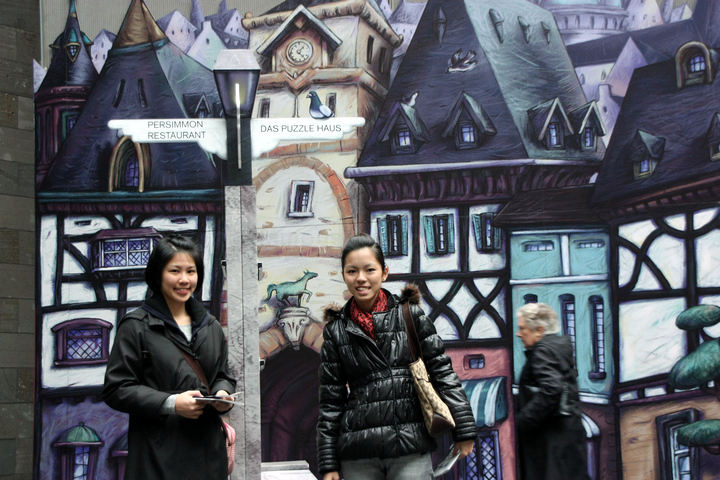 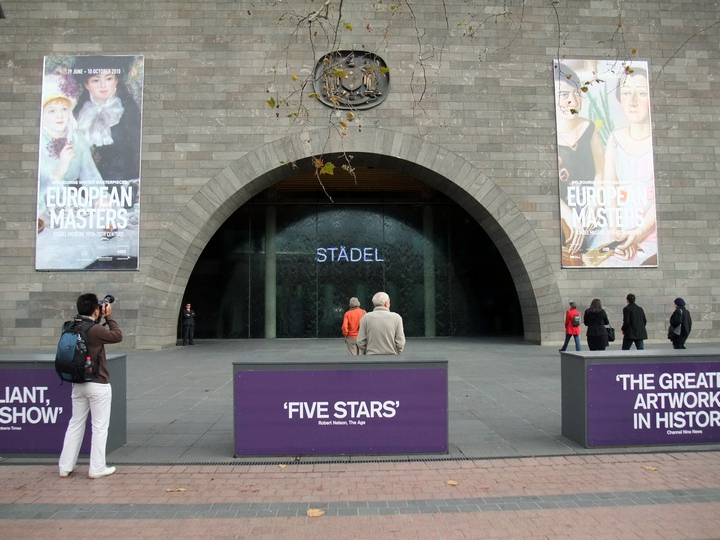 the works of art from Stadel Museum in Germany were making a stopover in Melbourne. 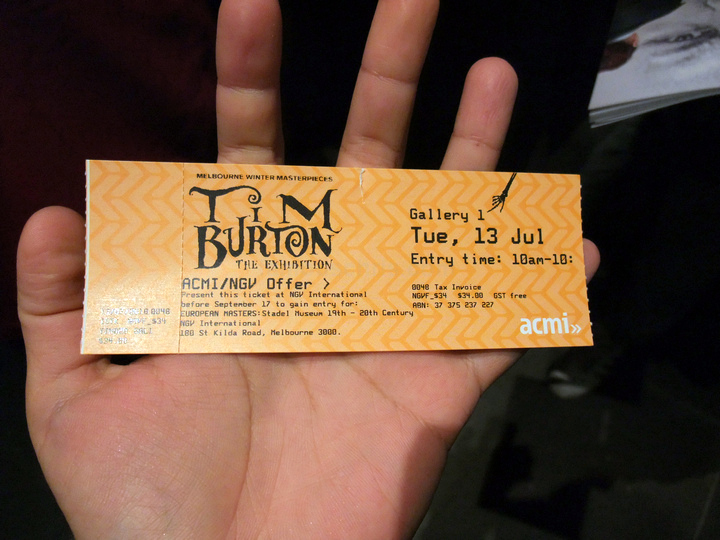 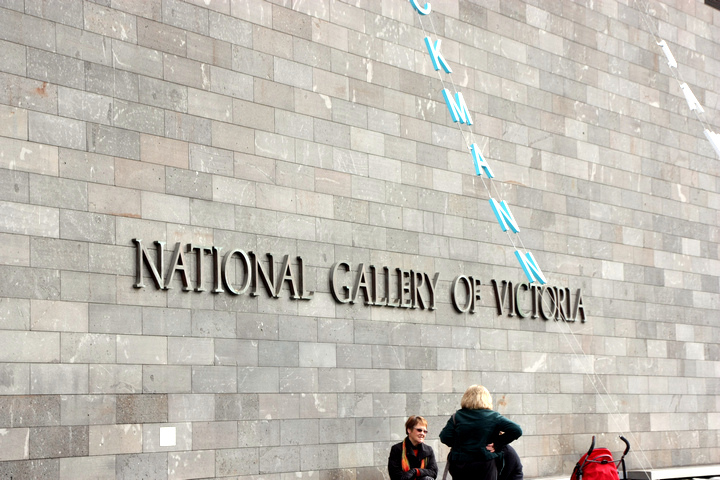 This place was called the National Gallery of Victoria. 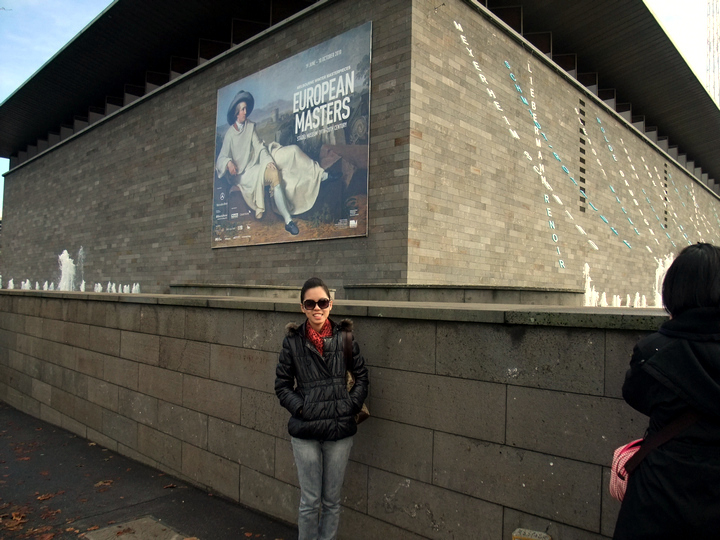 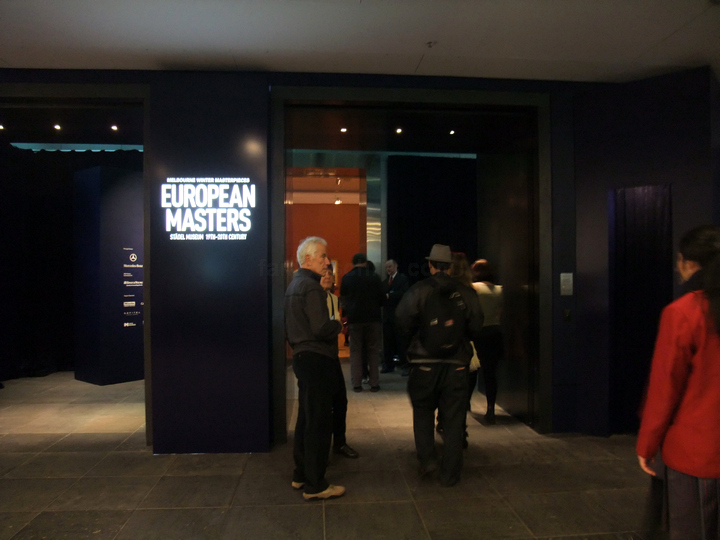 Vivian with the HUGE poster of the European Masters behind her. 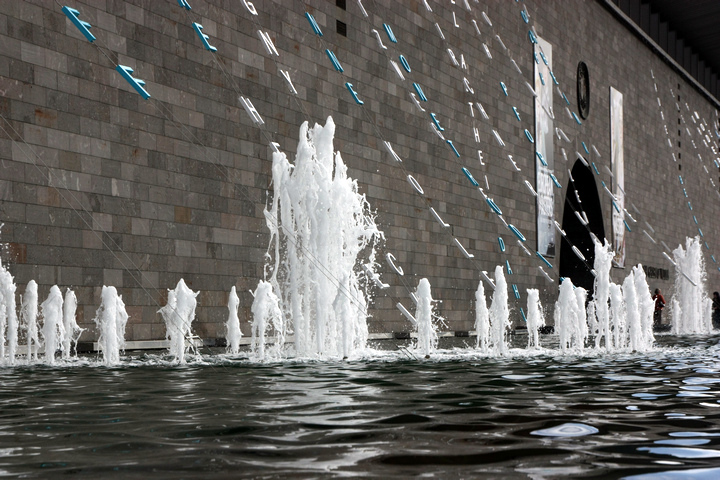 graced by gushing water fountains. 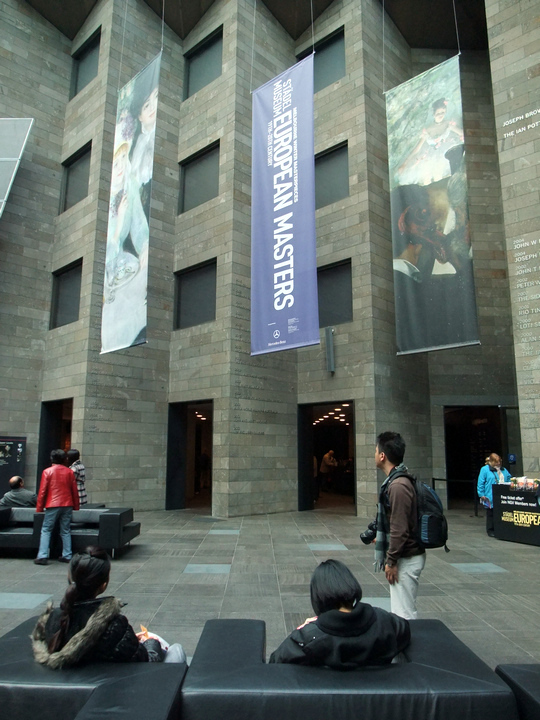 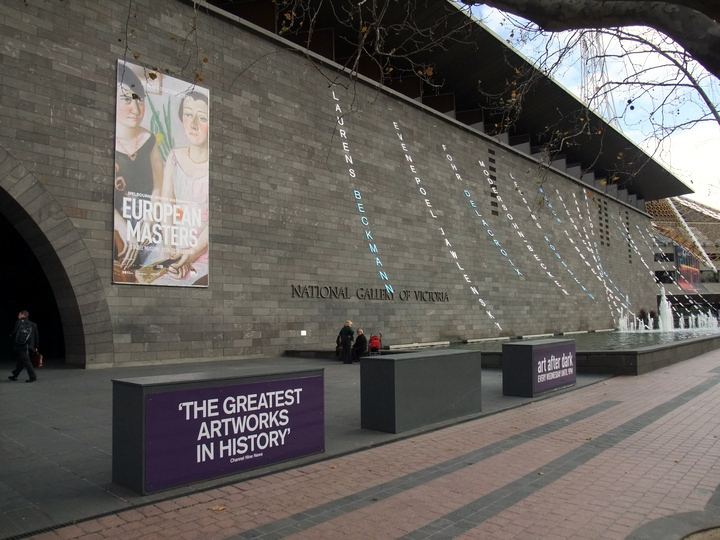 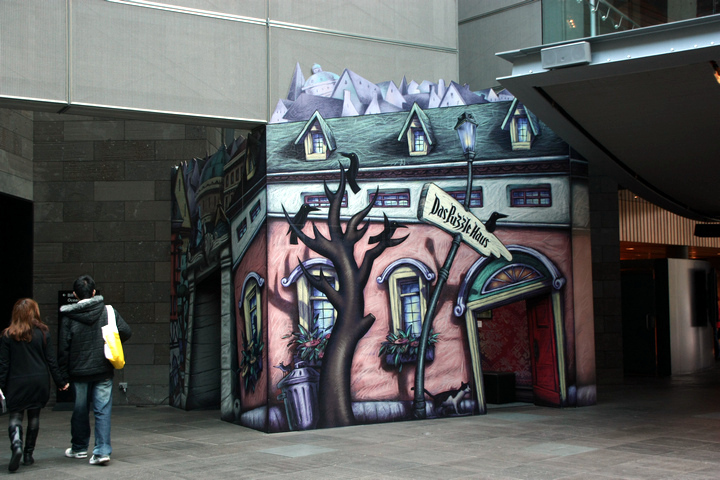 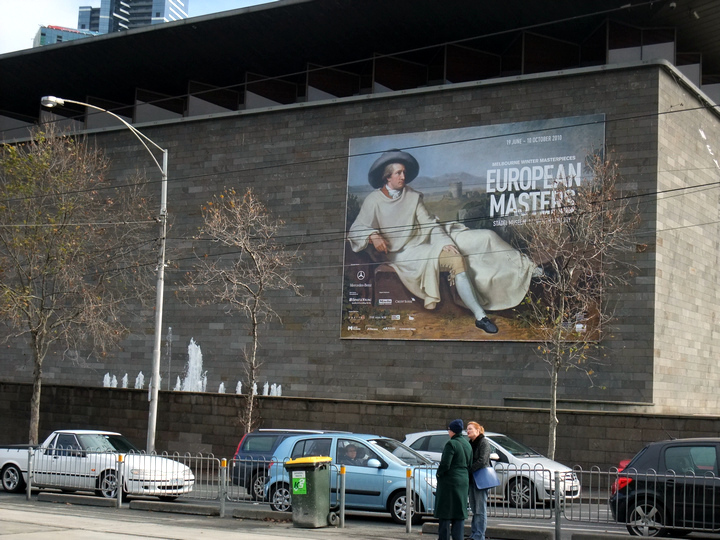 The main entrance of NGV. 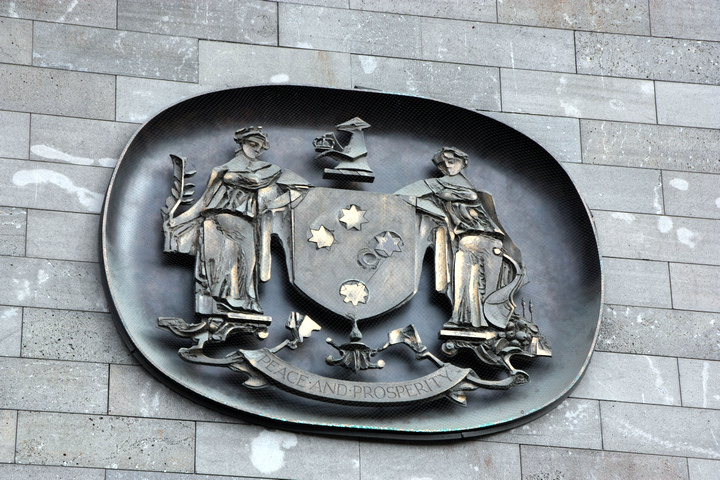 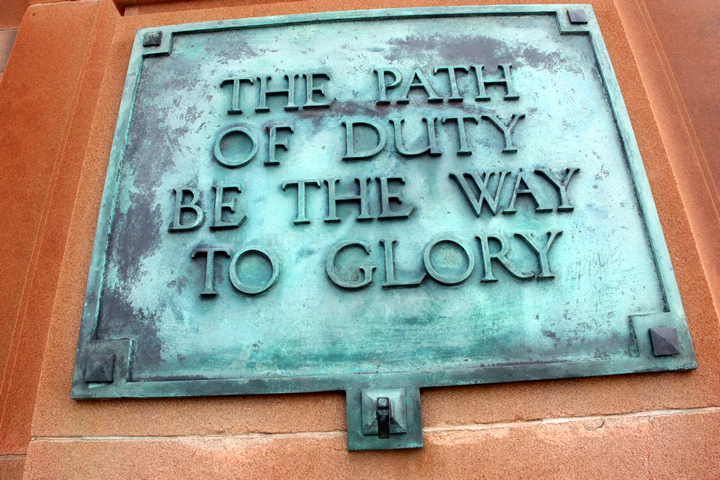 The symbol above the entrance. 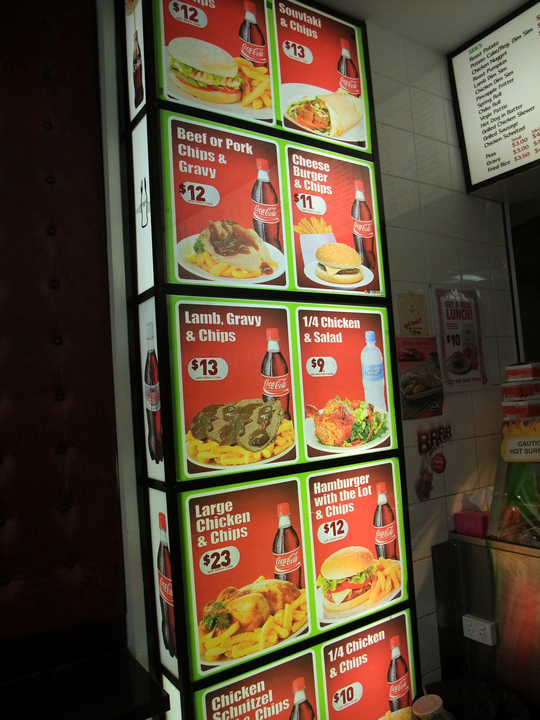 Giant posters hung around the insides. 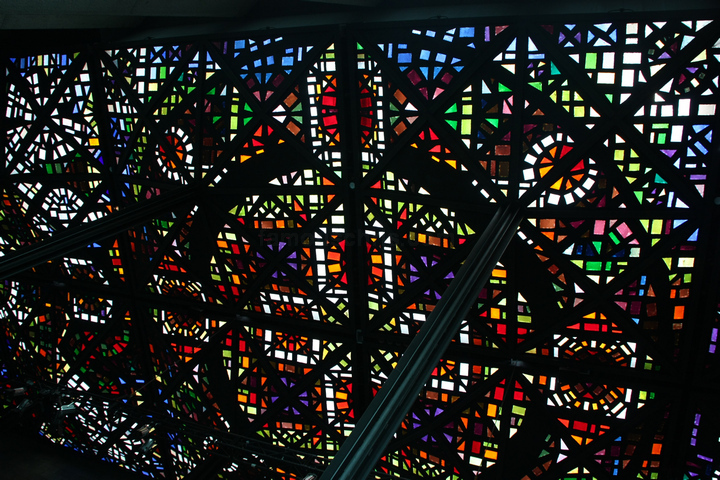 Stained glass art at the roof. 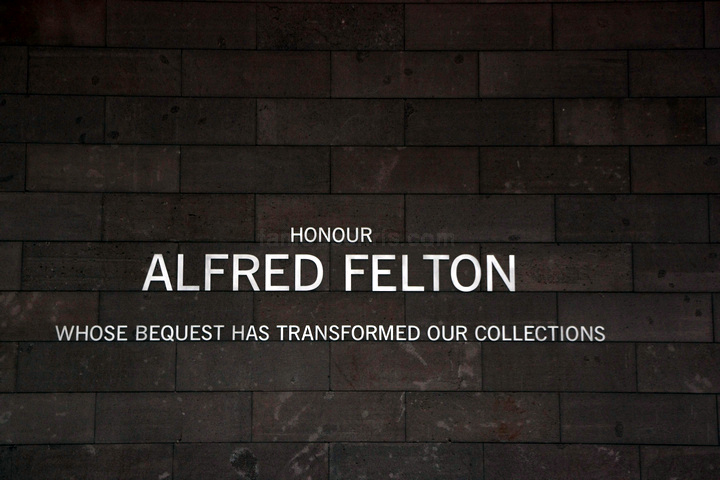 Alfred Felton was an Australian entrepreneur, art collector and philanthropist who donated ALL his assets to NGV. 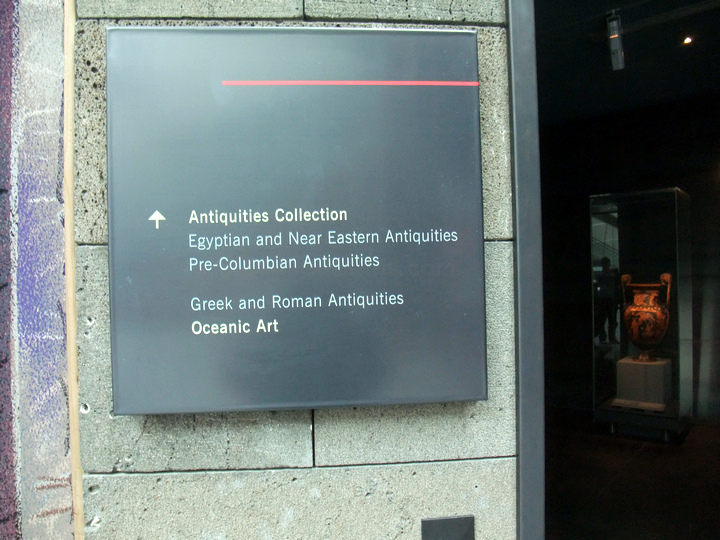 I also saw lots of antiques from Egypt, China, etc. 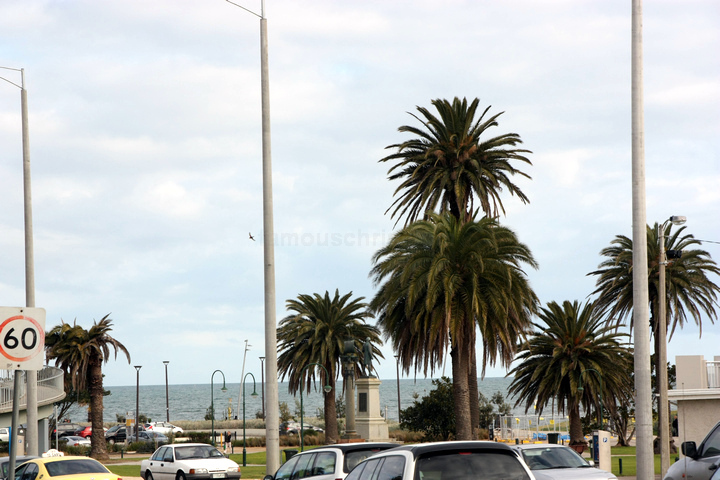 01.46 pm – After all the walking looking at paintings, we arrived at St Kilda the beach. 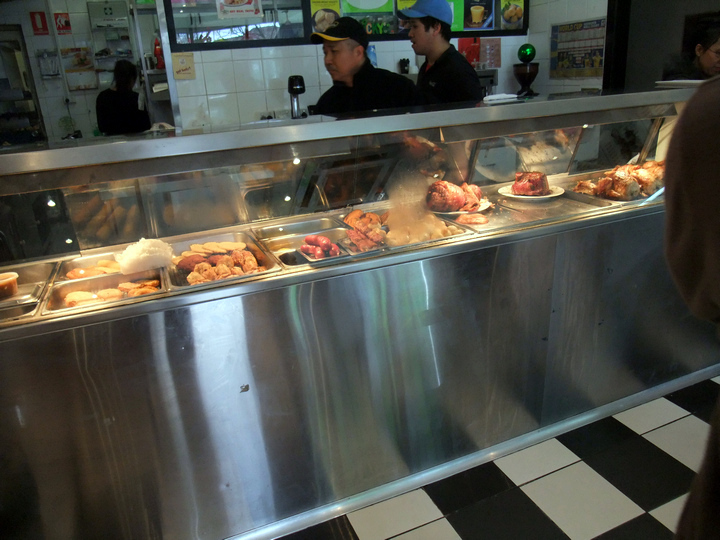 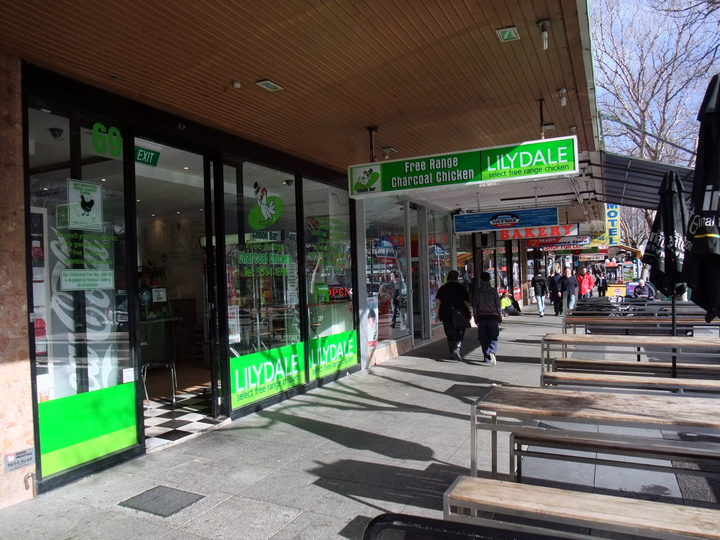 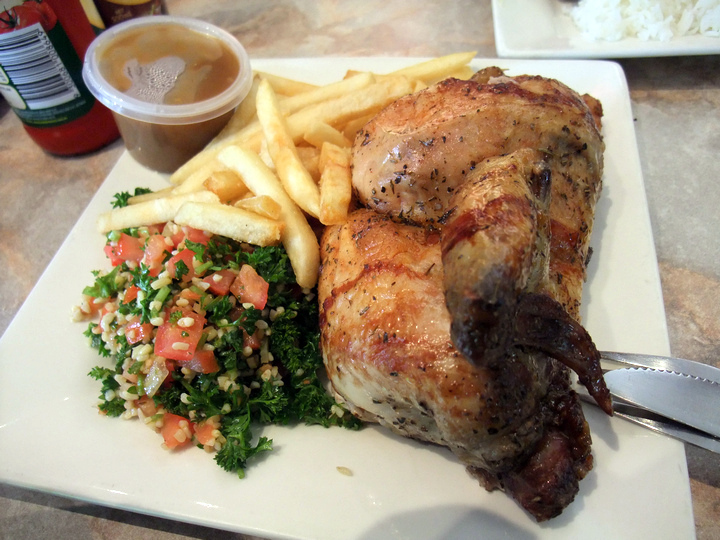 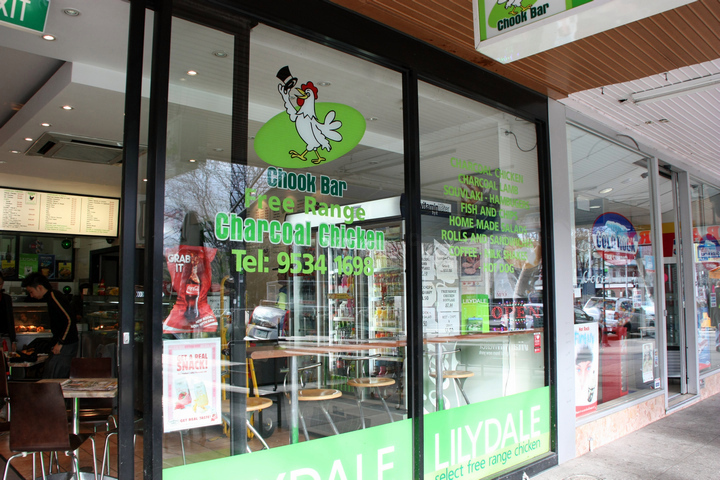 We took a stroll along the many, many restaurants along the stretch and decided on Lilydale’s free range chicken for lunch. 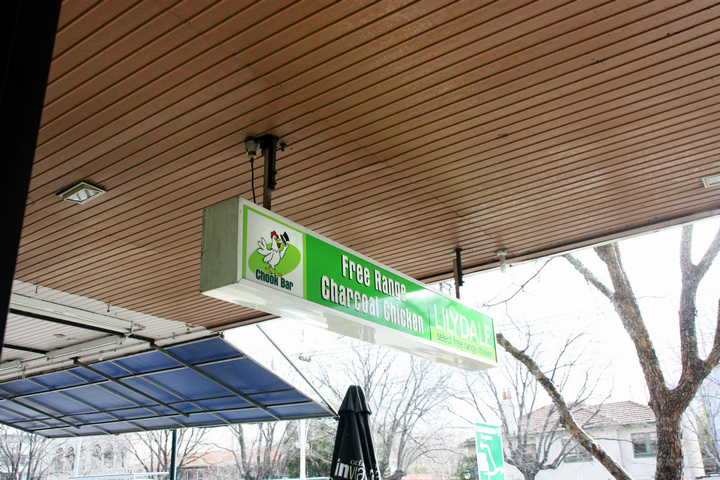 Or is it called Chook Bar’s free range chicken? 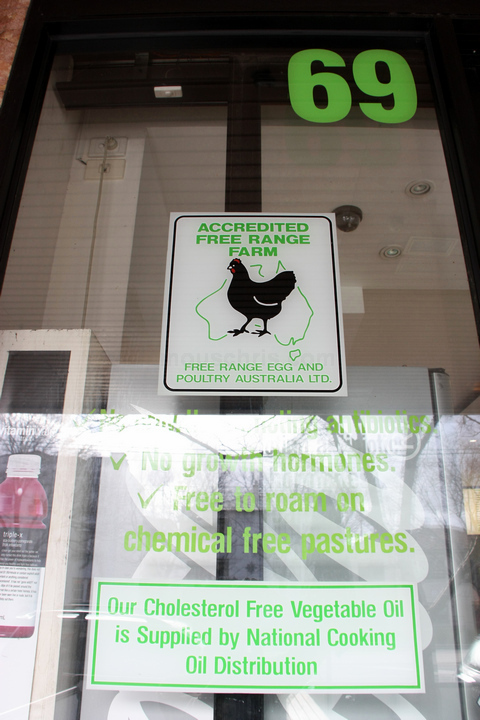 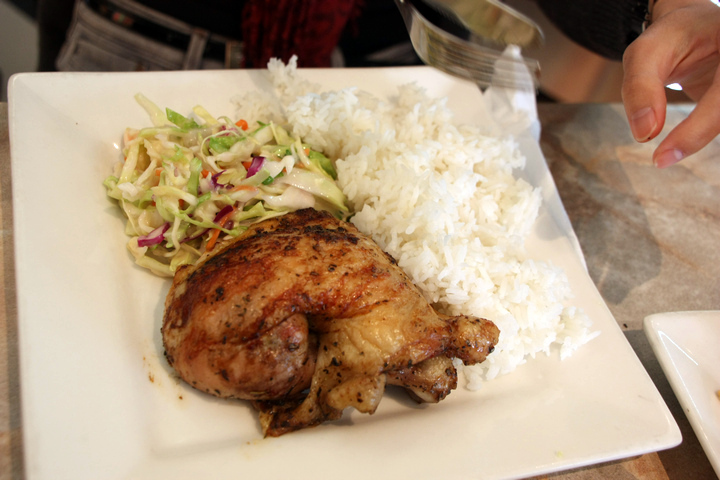 Healthy chicken running around the farm without growth hormones and antibiotics. 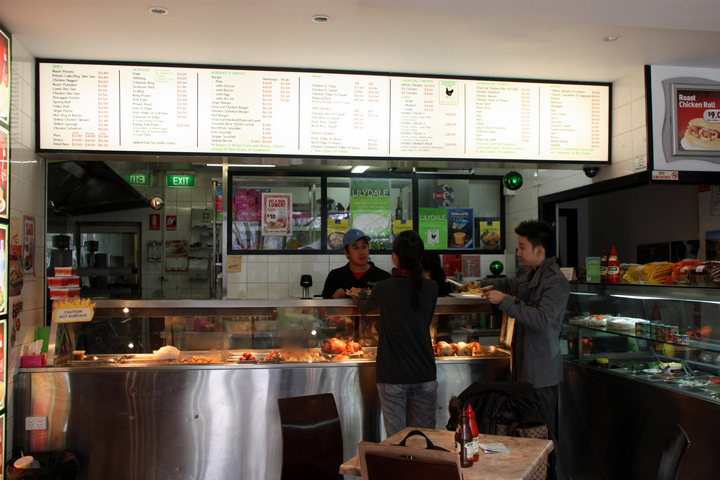 How the restaurant looks like from the outside. 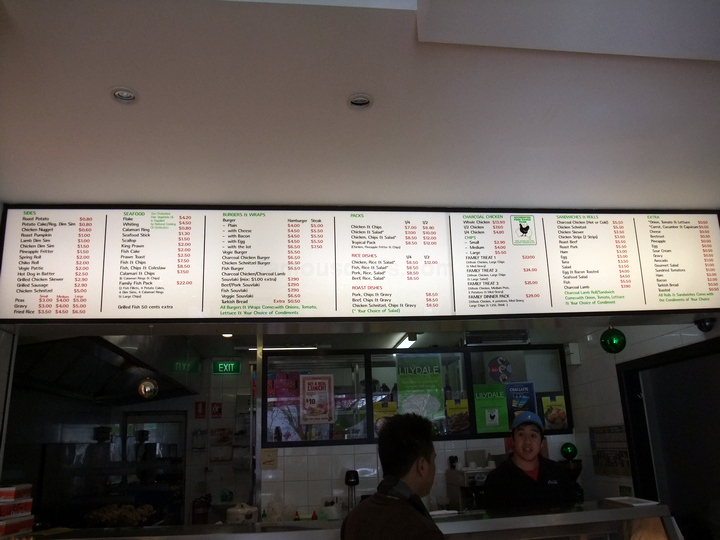 The full range of their menu. 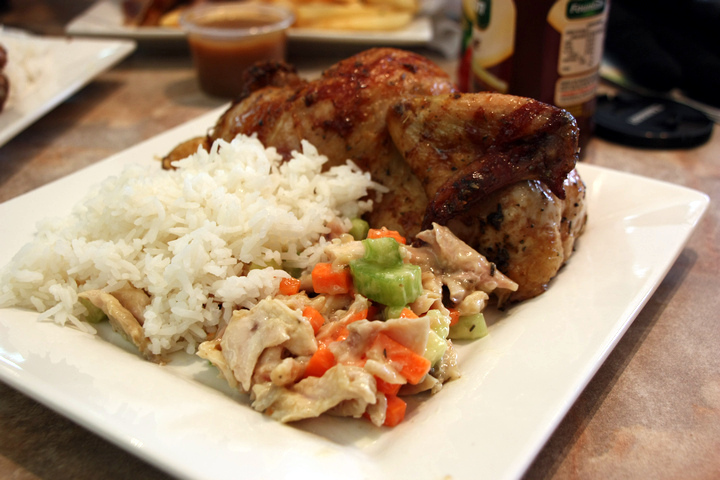 My selection of half chicken, risotto salad and fries. 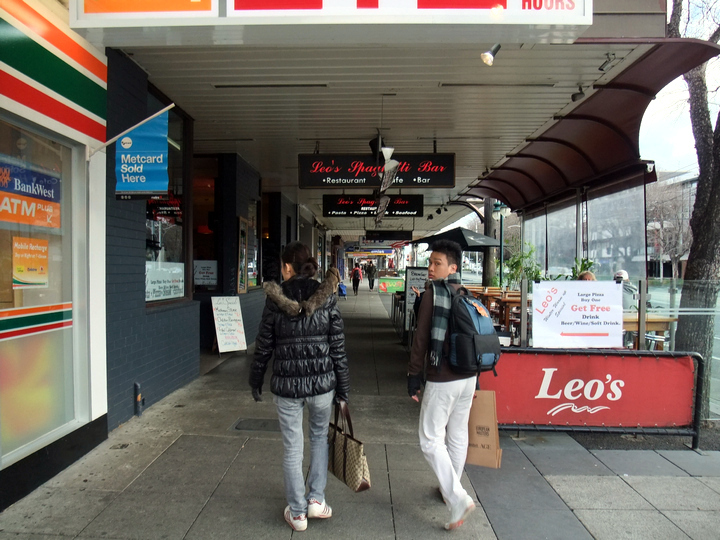 After lunch, we started walking towards the beach. 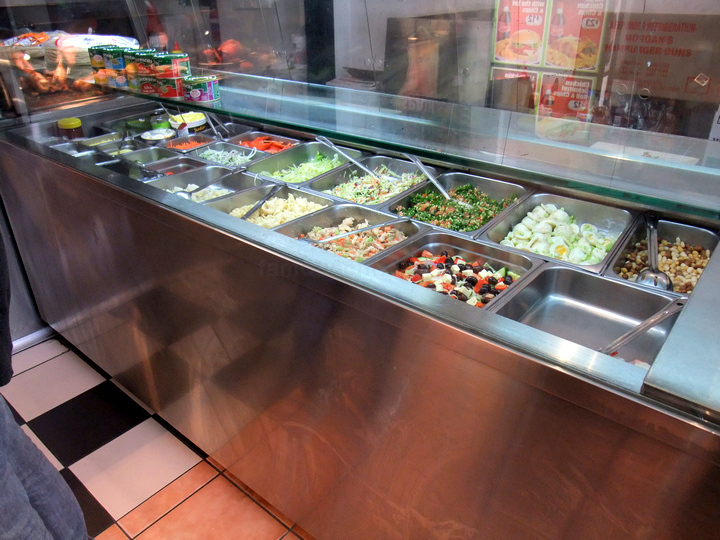 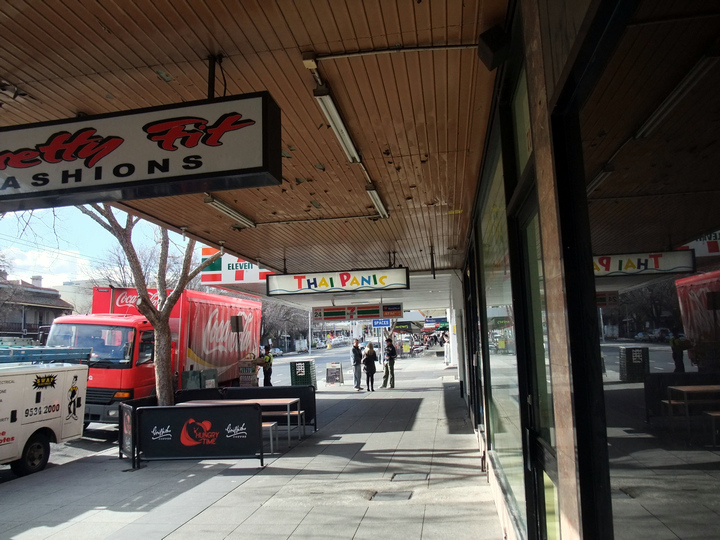 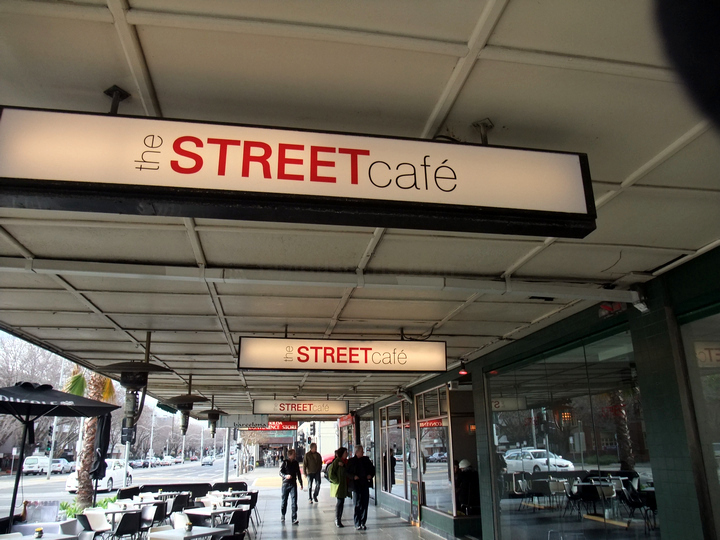 The Street Cafe is a highly rated cafe by Australians. 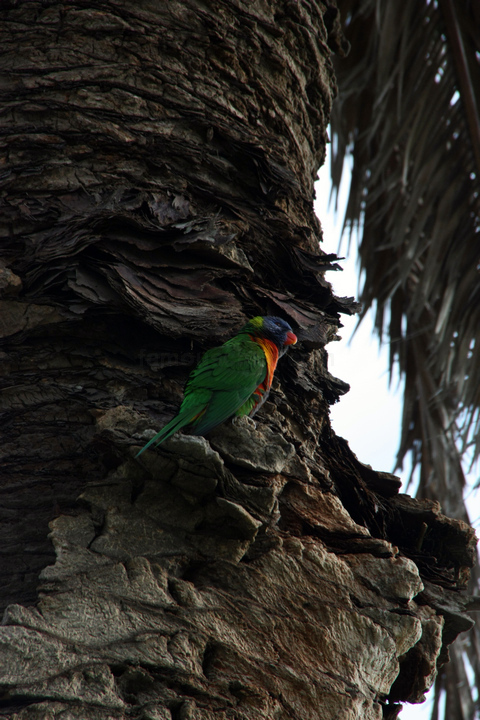 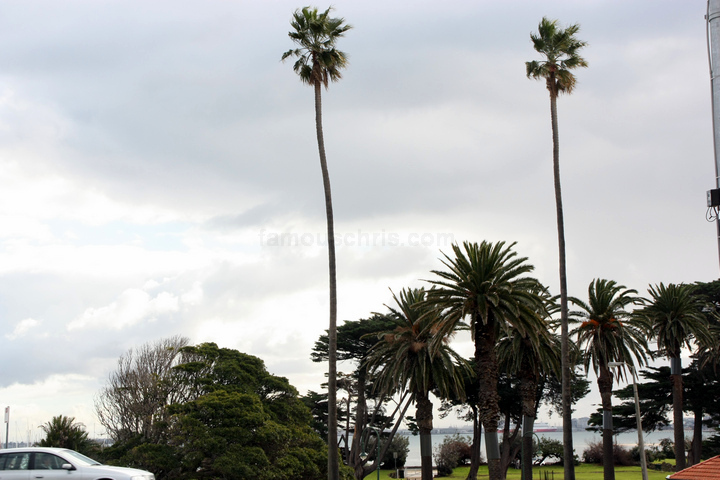 02.43 pm – Upon arrival at St Kilda beach, I saw tall and short palm trees. 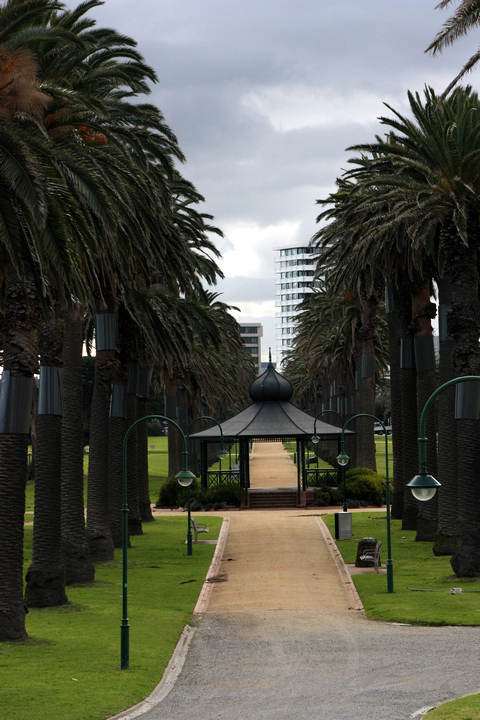 This pathway makes me feel like as if there’s a palace at the other end. 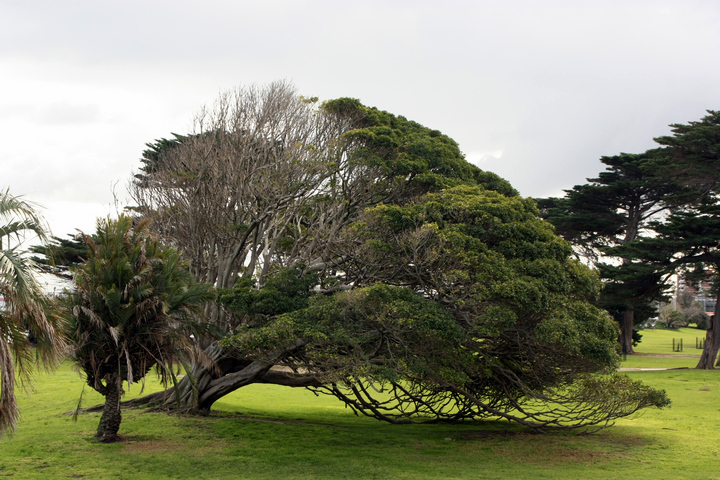 The tree with an angle. 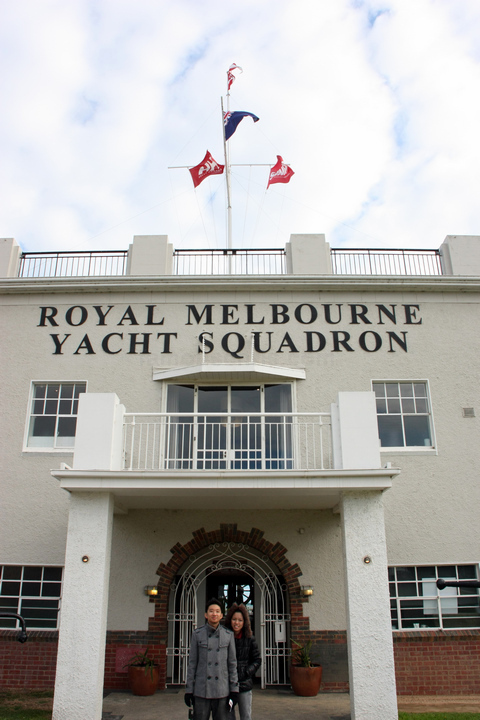 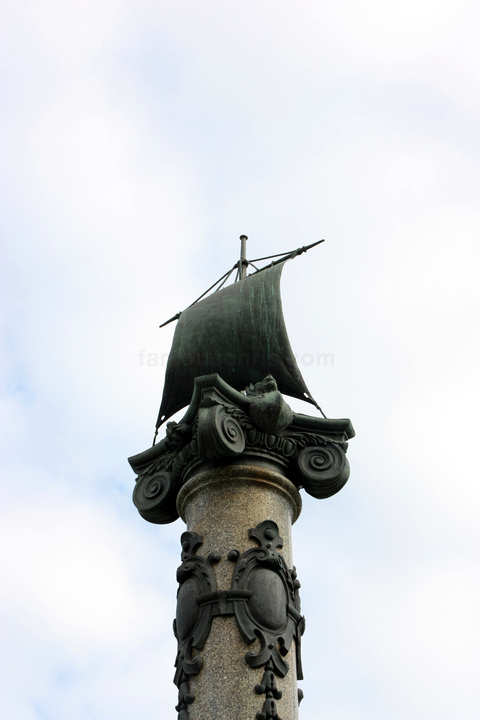 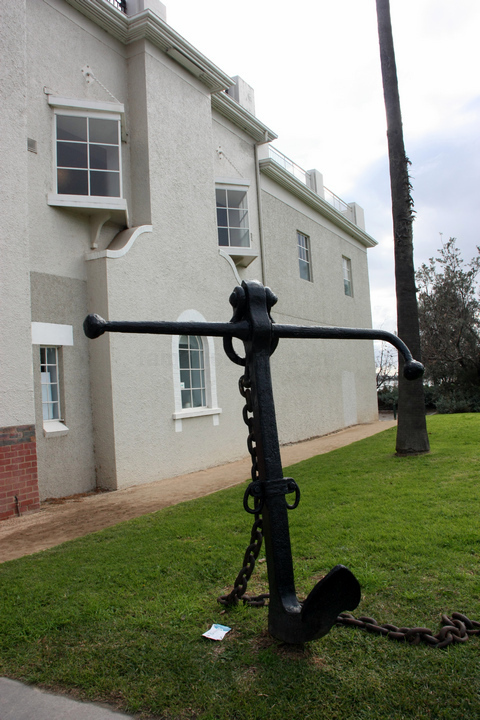 the Royal Melbourne Yacht Squadron. 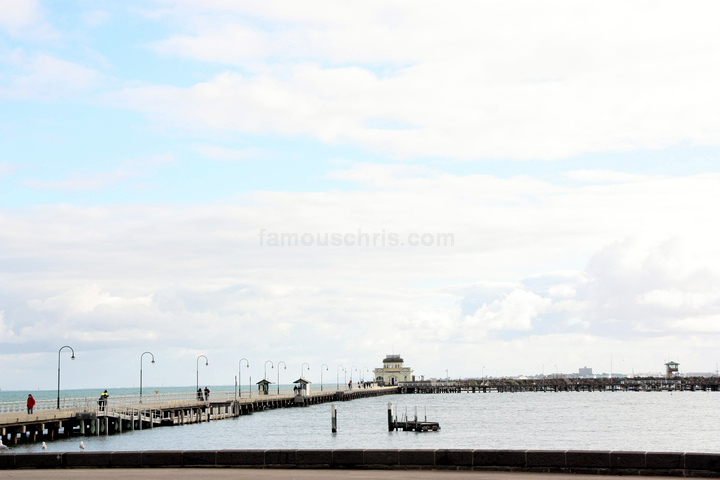 02.58 pm – Continued walking and ended up at St Kilda pier.